Soy - health in many forms! Soy is a special, healthy legume that's packed with high-quality protein, vitamins and minerals. There are plenty of products made of soy, such as edamame, soy milk, tofu, tempeh, TVP and more. Fortified soy products are also a great source of calcium, and one serving of fortified tofu, soy milk or yogurt may provide 20-50% of your daily calcium requirements. Soy and cancer: soy contains isoflavones. Isoflavones are selective estrogen receptor modulators. That means they are similar in chemical structure to estrogen, but their hormonal effect is very weak. 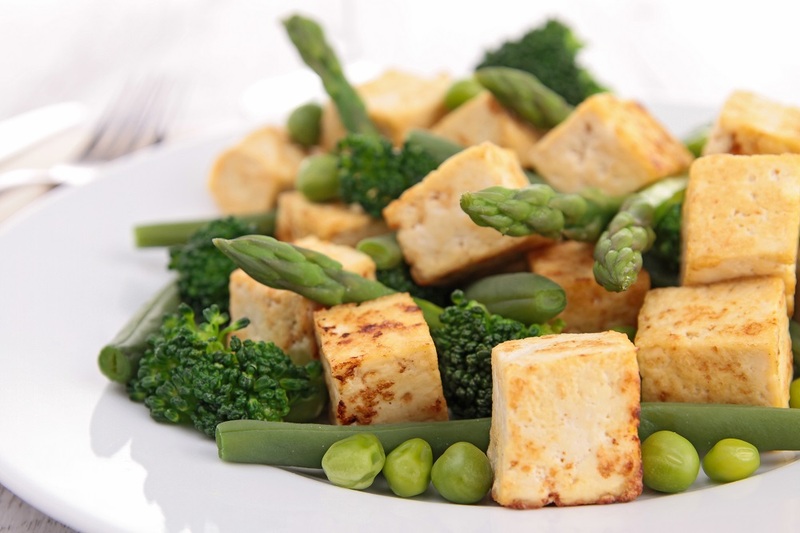 There is actually significant evidence, from many scientific studies, that moderate intake of traditional soy foods (such as edamame, tofu and tempeh) is associated with a lower risk of prostate cancer in men and of breast cancer development and recurrence in women. The American Cancer Society (ACS) 2012 dietary guidelines for cancer prevention also support soy consumption as part of a healthy diet. Regarding more processed soy products, such as TVP and mock meats – their effect appears to be neutral. Soy and thyroid: soy does not have an adverse effect on thyroid gland function and does not increase the risk of hypothyroidism. Existing hypothyroidism should be medically treated and does not require the elimination of soy from one's diet. It should be noted that soy products should not be consumed with thyroid medications, because they may affect their absorption. Soy and sexual development: according to studies on human subjects, soy does not appear to have adverse effects on sexual maturity and development, male reproduction or breast size. Soy and mineral absorption: soy, like many other whole plant foods, contains phytate. Phytate limits the biological availability of minerals such as iron, calcium and zinc. There are plenty of ways to reduce phytate quantities in soy, such as soaking, sprouting, leavening and fermenting. Soy and GMO: most soy grown for human consumption is GMO-free. If you are concerned with GMO, just check for "GMO-free" on the product label. It should be noted that there is no scientific evidence that GMO has negative effects on our health. Soy is considered safe throughout the cycle of life – from childhood to old age – as part of a balanced diet. So where does all the fear come from, you ask? Mainly from studies on animals, where high-dosage isoflavones were used (not soy-based foods, and not a typical dosage). The results of these studies cannot and should not be interpreted to be reflect the effects soy consumption has on humans. It should be noted that when it comes to cancer, soy is considered safe, but the data regarding isoflavone supplements is conclusive, and therefore should not be used in cases of history with breast cancer. Can you be vegan without eating soy, due to a soy allergy or personal choice? Though it’s a shame to forgo such a nutritious and easy-to-use ingredient, you can be vegan without soy. Just make sure to eat plenty of other legumes, such as peas, lentils, chickpeas and all types of beans. Want to volunteer for Challenge 22? Click here!